Skip The Dump In Brookline NH! Far from the 'madding crowd' of new England's cities, Brookline, NH, is among a handful of locales in the US where the quaint charms and sights of a rustic village can mingle peacefully with the modern comforts of today's busy world. In terms of population and land area, the town is a minuscule 13,000 acres on the border of New Hampshire and Massachusetts, over half of which is still undeveloped. A meager five thousand residents call the town of Brookline home. In spite of its small size, Brookline there is plenty for both locals and tourists alike to see and do. Those who love the great outdoors will be pleased to discover that the town enjoys a number of popular sites to visit and enjoy, such as the Nissitissit River and Lake Potanipo which are both terrific fishing spots, while the more adventurous traveler can enjoy kayaking , hiking and canoeing. History buffs will want to head over to the Brookline Historical Society, once the Florence Barnaby House. In addition to collecting and displaying Brookline's rich historical treasures, the Society often hosts networking events and (what else?) historical lectures. 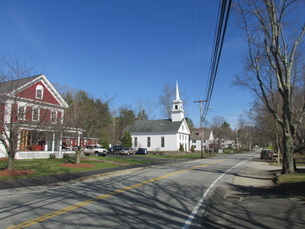 Upon casual perusal, the town of Brookline might appear to be one of those quiet rural villages that receive minimal visitors. But that may be about to change. New families have begin moving in, with new businesses in hot pursuit of this burgeoning residential market. The reason simple: according to a recent report by Bestplaces.net, the cost to live in Brookline is a full 22.5% below the U.S. average. Employment growth is in the black and area homes have appreciated by close to two percent over the last year alone. The truth is that there may never be a better time to purchase a residence in Brookline, NH than now, while this still mostly undiscovered community it remains a undiscovered secret. As one would expect, the growth of new homes and businesses in Brookline is propelling the need for increased trash pickup, disposal and recycling. Being that it's one of the greenest and cleanest towns in the entire U.S., it would be a pity to sully it's natural beauty with outdated or substandard trash disposal. SNH Disposal is pleased and proud to be able to offer the residents and businesses of Brookline the finest in waste removal and disposal services. And with our "Trash-to-Energy" technology, we can all look work together to protect our beautiful small planet and preserve it for generations to come. Give SNH Disposal a call at (603) 821-0146 and get a friendly, free quote today!